Add Ice Globes to your favorite facial and take advantage of the many benefits of ice therapy. Whether you need to combat facial puffiness, large pores, or want to tighten skin, you will love how good this chilly add-on feels! Ice globes are cooling wands used in facials to soothe redness, and decrease inflammation and the appearance of large pores. We love how they stimulate and exercise facial nerves and muscles, which tighten your skin and aid in the elimination of fine lines. This ice therapy is awesome for post acne treatment. Puffy eyes a problem? This add-on is super helpful! These chilly spa globes even provide relief to sinus or migraine headaches. Eliminates redness and calms after waxing, extractions, and electrolysis. 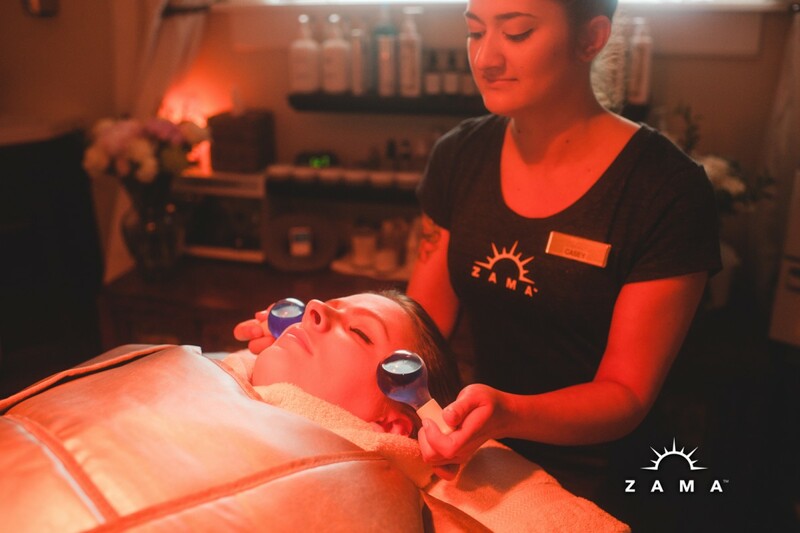 Choose our Ice Globes as an Add-On for any facial treatment!